Using RapidQuote, I can takeoff and price well over 10 drawings in less than an hour. Can our estimating and take off program save you time? Our free, no-strings demo will show you that it can! Running a successful construction or building company means you need to spend time on-site, overseeing your staff and managing your building projects. 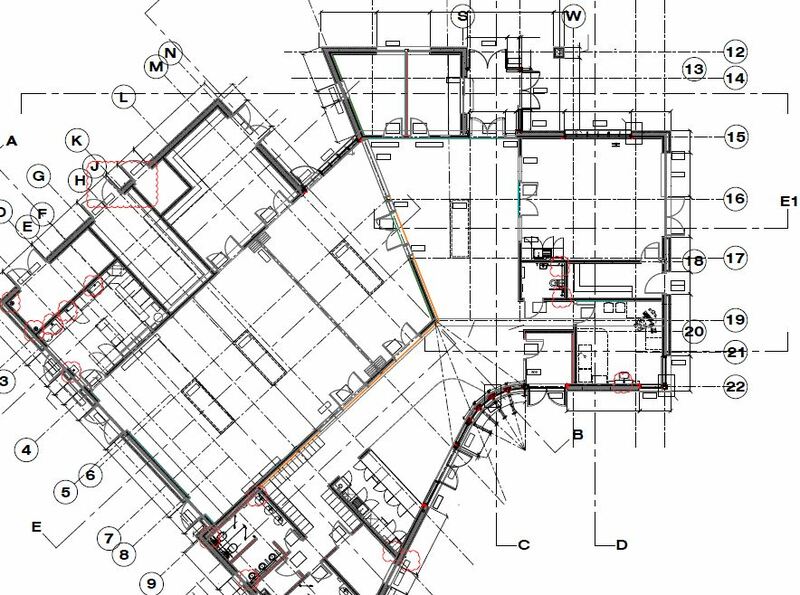 RapidQuote’s builders estimating software means you spend less time in the office poring over drawings and more time where you’re most useful. As you’ll find out when you try our UK builders estimative software during your free guided demonstration, RapidQuote uses a specially developed computer program to streamline your tendering process. 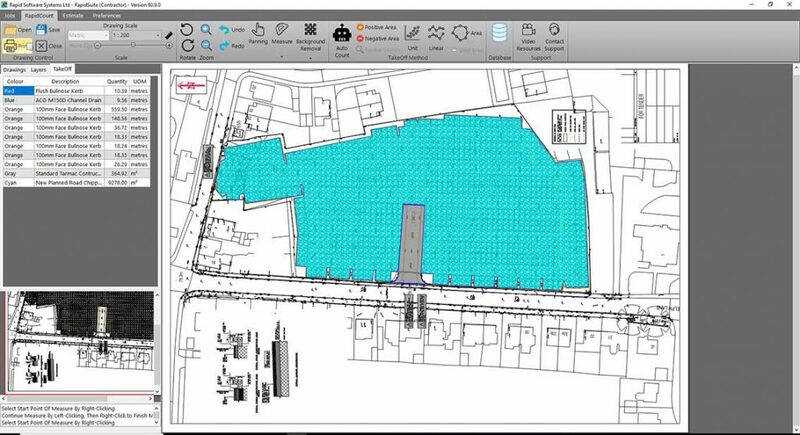 Our software helps you compare and choose the right drawings and plans, strip out background information and colour, count and scale materials for your estimates. In independent tests, RapidQuote software has proved that it can save you up to four hours per quote. You get more time to visit your sites, tender for other projects, or focus on building up your business. To see how much time and money RapidQuote will save you, try our savings calculator. Let’s cut to the chase. This program is designed to help save you time, and it works. Since 1980, we’ve designed applications and tools for contractors across the building trade to make their lives easier. We know that time you spend behind a desk is wasted, so we’ve made sure our software is simple to learn, simple to use, and that it cuts down on the time it takes you to put together a quote, proposal or tender. Let’s take you through the process. First off, the plans and drawings. Right now, you probably have to pick through files, clicking in and out of ZIP folders and compare drawings by eye. 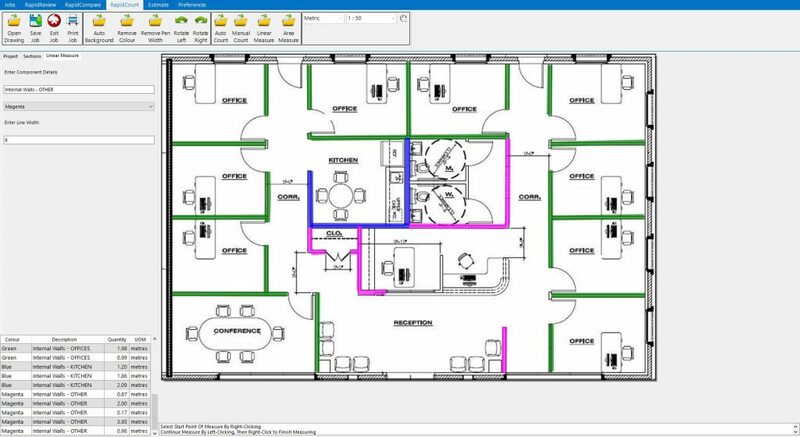 RapidQuote’s RapidReview function pre-loads all the drawings related to your building project and asks you a simple question. Answer yes, the files are saved in a new folder for step two. Answer no, and we skip to the next file. Once that’s done, you’d normally take these files to the printers to buy some full-size A1 print outs to take off by hand. No need. 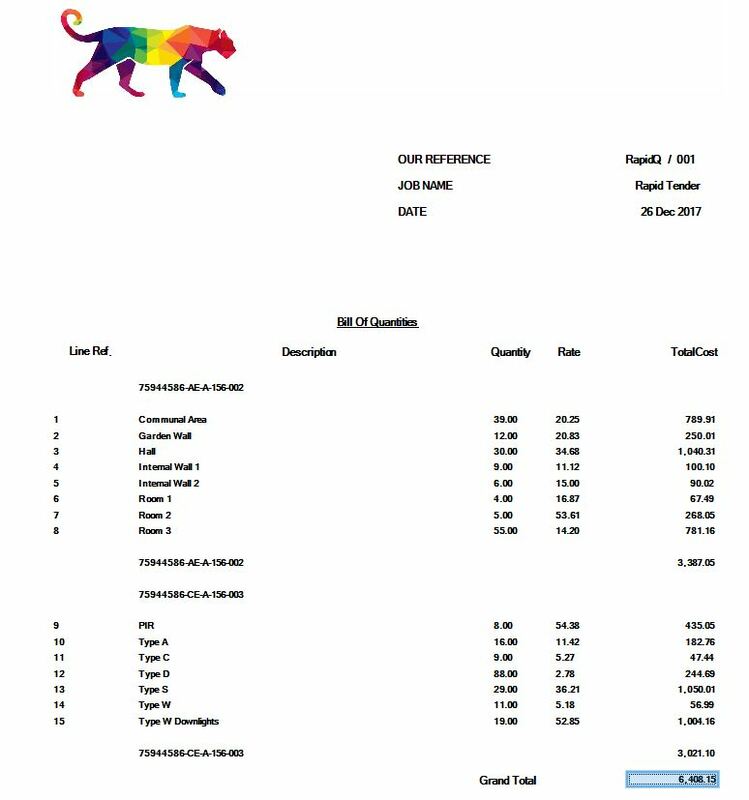 Simply drop the file of your chosen drawings into RapidQuote and we’re ready to go. First, RapidClear scans your drawings and removes all the distracting background detail. Once click is all it takes – the software makes a decision automatically. Now we get to the point where you’d be reaching for rulers, pencils, highlighters and a notepad. The scaling and drawing. The most time consuming part of any quote. Well put your ruler down, because with a few clicks, you’re going to be able to scale, count and colour the drawing. Once that’s done, another click adds all the quantities for building materials onto your final estimate spreadsheet and you’re on to the next drawing. In tests, RapidQuote users put together accurate quotes in around an hour – when before it’d take them up to five hours of counting and scribbling. That’s four hours that they can now spend on site, working on a different quote, or on finishing early. You can keep reading about all the benefits that you can get from RapidQuote, you can find testimonials from other building contractors that explain how it’s given them more time to manage brickies and trades on site instead of measuring and counting in the office. Or you can try it yourself. Today. For free. Just click this link and we’ll demonstrate RapidQuote on one of your tenders. Book your free demo today. After you’ve tried out our estimating tool during your free demo, and you’ve decided it’s making your life easier, helping you tender for and win more projects, and freeing up your time, it’s only natural to wonder about the cost. And that’s the most expensive package. RapidQuote Essentials comes in at less than a pound per day, and that gives you everything you need to make scaling and counting quick and simple. Check out our prices and see for yourself. The idea for a fast, simple to use tendering and quoting tool didn’t come to us out of nowhere. RapidQuote was designed after years of discussions with clients from all across the building trade. Our clients told us they enjoyed getting hands-on with construction projects, that they loved doing a great job building properties and managing their contractors. But that they spent too much money printing drawings, too much time on take offs, and that all the admin surrounding getting a quote to a client led to long nights and late finishes. Yes, the traditional way gave them the right numbers and won business, but it took too long. That’s the whole mindset behind our builders estimating software. We find out how you and other builders put together an estimate and program a computer to make that process faster. Clients from Aberdeen to Exeter have tried our software, tested it, and they agree. RapidQuote delivers accurate quantity information in half the time. After an hour, they’ve got everything they need to price up a project and order the materials. But even after that, we weren’t happy. 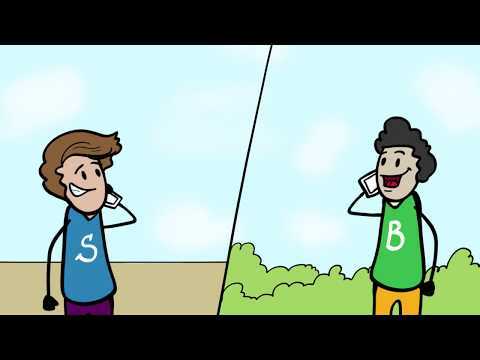 We found an expert in business psychology at a leading university and got him to test our system. Quotes that took five hours to do by hand now only took one. The quants pulled out by the computer matched the manual estimates over 99% of the time. When the quantities didn’t match, he found that RapidQuote had identified an inaccuracy in the contractor’s spreadsheet, or an error caused by a tired, stressed person four hours into a quoting job. Even better, he discovered that by cutting the time it takes to create a professional, accurate quote, our estimating software was helping builders to pitch for four times as many jobs and win four times as many projects. 80% less work in the office. 400% more work on the site. That’s what RapidQuote delivers. And this builders estimating software can be yours for just pennies per day.